Keeping your senior safe from falls at your home or theirs starts with keeping them safe from slips & trips. If you have a loved elder, and you’ve ever wondered how to keep flooring safe for seniors, you’re in the right place. Take the time to go through both your house and theirs with your “Eyes Wide Open” looking for potential floor hazards that could lead to a life changing fall. Get rid of all throw rugs, area rugs, electrical cords and mud or sand that was tracked in on shoes that might be loose on the floor. Remember, the number 1 floor enemy of seniors is area rugs. 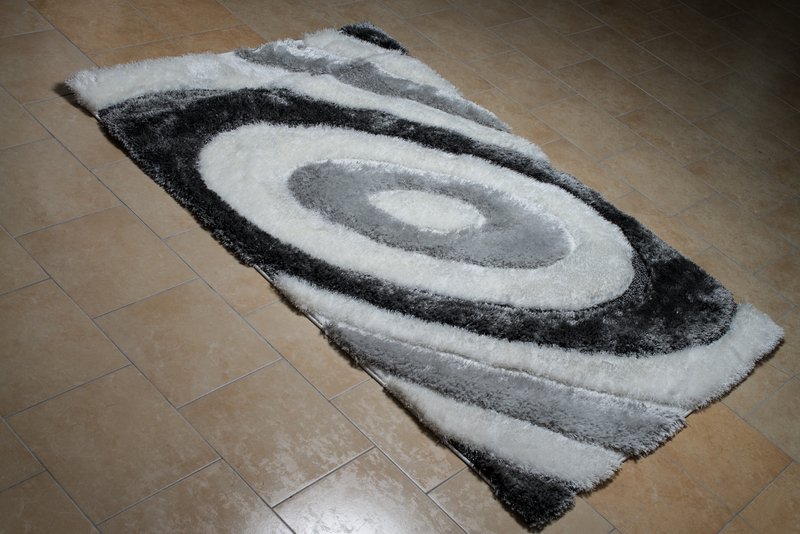 If you look at the underside of a throw rug you might (or might not) find some rubbery non-slip coating which is designed to keep the throw rug from sliding. But it can’t keep a throw rug from bunching up and causing a trip hazard. A living room or any large room should have one continuous type of flooring throughout so there are no transitions or thresholds that will create a trip hazard. If you have any saddle thresholds between rooms it would be a good idea to remove/replace them so the floor transition from one room to another is as smooth as possible with no humps or bumps. As little as 1/4 inch change in the flooring height can cause a trip. A Special Note About How to Keep Flooring Safe for Seniors in the Bathroom: The bathroom floor is a special surface and needs to have some texture to it so it remains non-slip even when it gets wet. The bathroom is the wettest room in the house. If you have tile in your senior’s bathroom you can add some non-slip strips to make it less slippery. You can buy rolls of this at Lowe’s, Home Depot or even on Amazon. There are also anti-slip treatments that can be applied to the floor to increase the coefficient of friction (make the floor less slippery). Wet floors are a dangerous slip hazard because it is hard for your senior to see where the wet spots are on the floor. If you use any type of spray polish or cleaner, be aware of the over spray. The over spray from furniture polish can make your floor very slippery. Instead of spraying the polish directly onto the furniture, spray the polish into your polishing cloth, then wipe your furniture. This will leave your floors clean and dry. As a general rule, clean up spills and splashes immediately and keep your floor as dry as possible. While we are on the subject of cleaning up, picking up is also a very important daily chore. Anything loose on the floor can cause a trip hazard for your senior, like toys, dirt, extension cords and game pieces. Keep your floor clean & dry and your loved senior will have a much safer stay at their place or yours.